The 3M Cloud Library and their parent company Bibliotheca are bringing ePub3 support for large graphic books. Unlike other vendors, these books are fully downloadable to be available for offline reading. This enables libraries to expand their options for their patrons – convenient digital books for summer reading during travel or trips to the park or beach. In order to draw attention to the new EPUB3 support 3M and CO are hyping the fact that they support the Pay-per-use system that Hoopla pioneered with audiobooks and Overdrive will soon going to be adopting. The bibliotheca booth at the ALA Annual conference will be ready to demonstrate the solutions that help libraries reach more people in their community. Along with new and innovative designs to help refresh the inside of the library, there are solutions to help offer services after hours and expand into the community. These solutions are available for demonstration at the ALA Annual conference, June 23-26, 2017 in Chicago, IL, booth 4025. Libraries of all types can benefit from the these solutions that will help maximize resources and budgets. The cloudLibrary™ brings ePub3 format for large graphic books. Unlike other vendors, these books are fully downloadable to be available for off-line reading. This enables libraries to expand their options for their patrons – convenient digital books for summer reading during travel or trips to the park or beach. New security gates for both RFID and EM technololgy provide more accessibility and a new modern look. The RFID Premium™ gate offers the widest possible secure cooridor at 63 inches across. New for customers using EM technology is the Tattle-Tape™ gate clear. This brand new gate has enhanced DSP technology, colorful ambient lighting and provides a modern look that appealing for library entrances. These two new gates give libraries new options to provide a great, welcoming first impression. Powerful tools to help reach new patrons and drive circulation with cloudLibrary™: Patron registration allows new patrons to register for a library card and start reading instantaneously from within the app. This feature, coupled with iPad kiosk software that allows libraries to place remote digital lending stations out in the community, gives libraries more reach and greater impact. Expand digitial content with a tight budget: Libraries can get Pay-per-use titles within the same buying tool and apps as owned content. This allows a library to provide a seemless user experience, better manage all digital content and maximize their budget. Bringing digital and physical together, bibliotheca selfChecks can now offer smart recommendations that will let users choose their format with a choice of physical books, eBooks or eAudiobooks within the same list of recommendations. Libraries can use their selfChecks to help their users plan their next read, increase awareness of their cloudLibrary™ digitial collection and drive more circulation. Also in the booth are other proven solutions to help libraries extend their reach and services. The remoteLocker™ provides the ability to set up remote ‘branch” of the library in an underserved area of your community or create a 24/7 holds pick-up location for users find it difficult to make it to the library during open hours. The recently announced flex AMH™ and a full range of selfCheck™ options allow librarians more time for outreach and engage with their library users. bibliotheca is pleased to be hosting an educational session on the concept of “open libraries,” which considers increased access to your library space and utilizing library resources in the most impactful way. This panel discussion will cover the merits and challenges of the concept and will include Executive Director, Charles Pace, from Gwinnett County Public Library, who instituted open+™ by bibliotheca one year ago, as well as directors from Hennepin County Library and Ventura County Library System, who will soon implement open+. 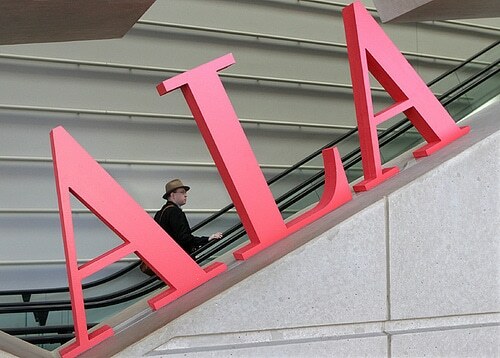 Visit the ALA Conference Scheduler to get the details. With over 30,000 libraries as part of their family, they have installed and continue to support more than 10,000 self-service units, 6,000 security systems and over 650 Automated Materials Handling (sorter) systems. In addition, the cloudLibrary™ digital platform powers eBook and eAudiobook lending at a further 3,000 libraries.